2019 is going to be an important year for MSC Cruises with two new cruise ships being delivered and the opening of a new private island destination in the Bahamas. A Busy Year for MSC! MSC Cruises is one of the fastest growing cruise lines in the world at the moment. 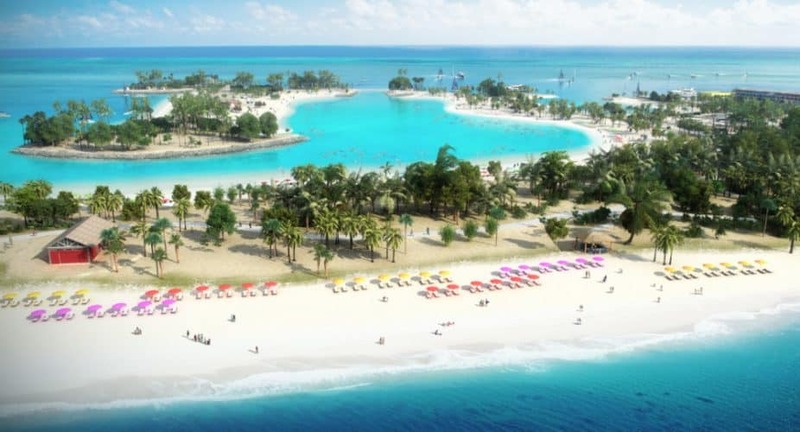 So it comes as no surprise 2019 is going to be busy with two new cruise ships arriving and the opening of a new private island destination in the Bahamas. MSC Bellissima will be the first new cruise ship of the year to join the ever-expanding fleet. She will be the second Meraviglia-class vessel at an impressive 171,598 gross tons and a guest capacity of 5,686 in 2,217 cabins. The ship will be sister to MSC Meraviglia which entered service in May 2017. The new ship will introduce the world’s first digital assistant at sea. Zoe will be able to offer assistance in seven different languages and the artificial intelligent device will be in every cabin. 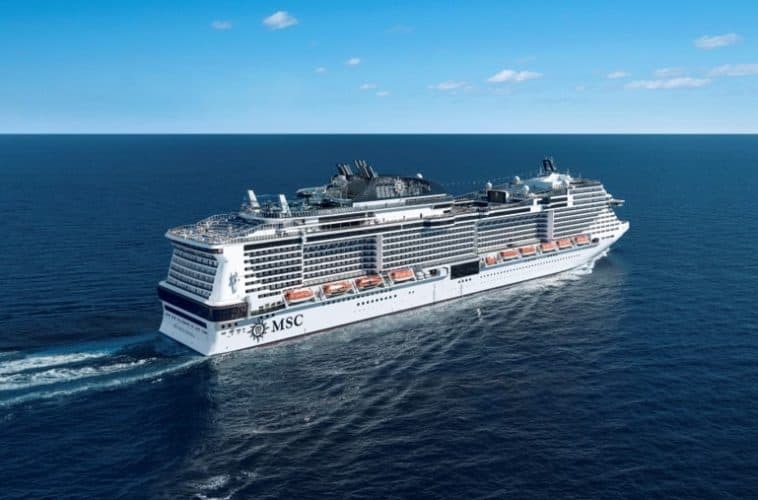 All the popular offerings seen across the fleet will also be on MSC Bellissima such as Cirque du Soleil shows and international dining. However, the ship will have a new tapas restaurant, enhanced kids program and the 80-meter LED sky screen along the promenade which is only on this class ship. 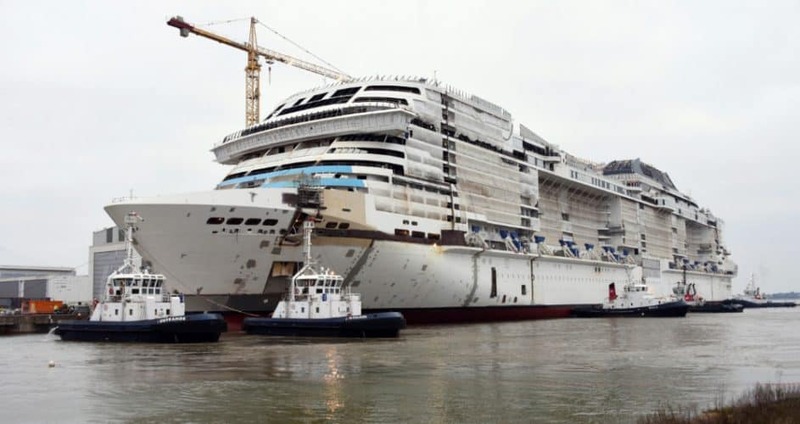 MSC Bellissima will be christened in Southampton, UK on March 2, 2019. For the inaugural season, she will sail 7-night cruises in Europe and then will redeploy to the Emirates for the Winter 2019/2020 season. Now we move onto the second new cruise ship for MSC which will arrive in October. She will be a Meraviglia-Plus class vessel making her the largest ever cruise constructed for the cruise line and one of the largest in the world. The ship is currently under construction at Chantiers de l’Atlantique shipyard in Saint-Nazaire, France and once completed will be a huge 181,000 gross tons. She will also have a passenger capacity of 4.842 at lower berth in a total 2,421 cabins along with 1,704 crew members. MSC Grandiosa will be very similar to Bellissima which launches earlier in the year but slightly larger. There will be Cirque du Soleil shows, an even longer 98.5-metre LED Sky screen along the shopping promenade and a new restaurant called L’Atelier Bistrot. The vessel will become the second to feature the A.I. digital assistant Zoe. 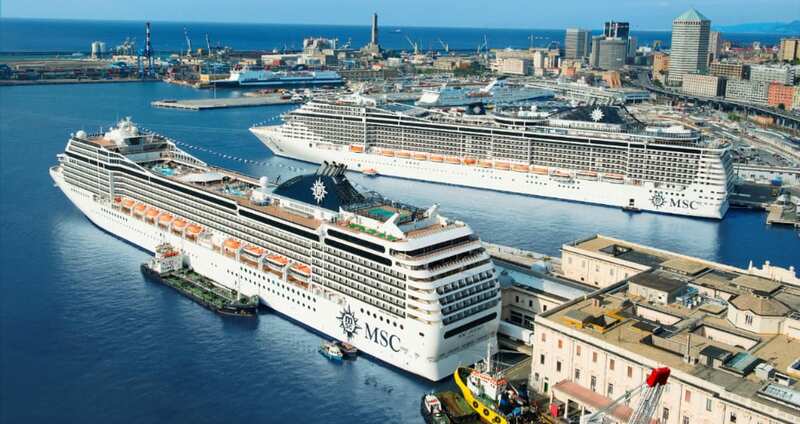 The new MSC ship will be delivered on October 31 and begin cruises out of Genoa, Italy on November 16. If you haven’t been convinced that MSC Cruises is growing so fast then how about a new private island destination in the Bahamas? Ocean Cay MSC Marine Reserve will begin welcoming cruise guests from November 9, 2019. This will be a stunning port of call which only MSC cruisers will be able to experience. It will be a private island like no other which will exist in harmony with the local ecosystem. Local reefs will be preserved and guest can learn about the importance of protecting the ocean and natural land with special programs. Around Ocean Cay lies 64 square miles of protected waters and a coral nursery is being established to encourage and sustain the growth of new coral. The cruise line is also planning marine laboratory for climate research and studies. Guests will be able to have a stunning day at Ocean Cay with something on offer for any type of vacationer. The island will feature bars, restaurants, shore excursions, shopping market and of course many ways to relax with a breathtaking seven beaches to choose from including a smaller family lagoon. 2019 is just the beginning for MSC if we look even further ahead all the way through 2026 there are a total of 14 new vessels on order. This is a huge amount of future cruise ships for one cruise line including luxury vessels and the much anticipated 200,000 gross ton World class ships. Kee checking Cruise Hive for all the latest news about MSC Cruises, no doubt there will be lots to post about!